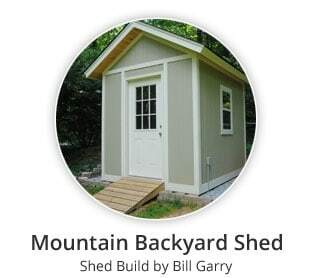 Build This 10'x12' Gable Roof Shed With Our Detailed Shed Plans! 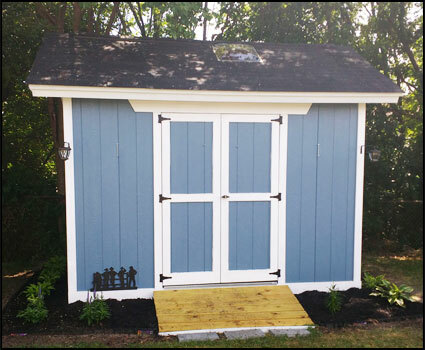 Easily build this shed with our step-by-step eBook and plans. Each stage in our eBook has been designed to work in conjunction with our 15 DIY shed building videos – to ensure you have help anytime you need it. Construction Videos: Every plan page in our eBook includes a link to the tutorial video for that stage of construction – help is never more than a click away! 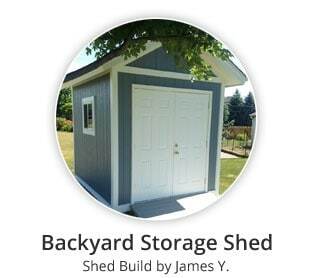 Help Tips: We provide numerous tips throughout our eBook to ensure construction of your shed turns out just like the shed shown in our videos. 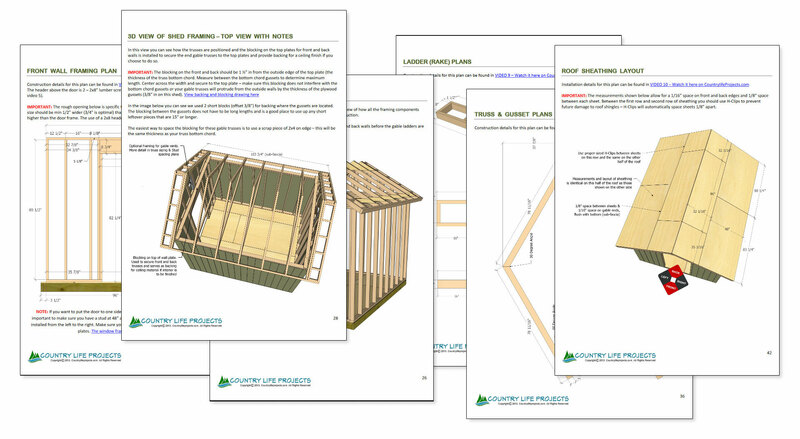 Materials Lists: Our eBook provides a complete shopping list for the shed. In addition, we also have broken down the material list for each stage of construction so you can buy only what you need for each stage if you plan to build over a long period of time. 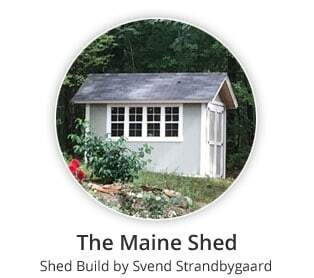 Shed Floor: Our floor plan include 2×6 floor joists & 3/4″ floor sheathing – with spacing details and all cut sizes. Wall Framing: Traditional 2×4 framing at 16″ on centers with a double top plate, With header details and all cut sizes included. Panel Siding: Our plans are optimized for T1-11 exterior siding panels (aka Ranch Wall or LP Smart Side Panels) . However, you can use regular sheathing and alternate siding such as Hardiplank or vinyl siding. Homemade Trusses: We provide plans for 2×4 homemade trusses with plywood gussets. A layout and setup plan for building the trusses is also included. Trusses can be pre-fabricated and install quickly. 1/2″ plywood or 7/16″ OSB sheathing can be used to cover the roof. Roof Pitch: 30 Degrees (7/12 pitch). Our plans use a 30 degree angle instead of a 7/12 pitch to make all your cuts easy and accurate! This is especially helpful during the finishing/trim stages of the shed build. Soffit Overhang: Sufficient overhang on sides, front and back to provide better protection from the elements. Roofing Options: Our shed is designed for asphalt shingles but other options can be used if you prefer. Exterior Trim: In our videos we use pine and cedar trim. You can use any type of trim such as PVC, fiber cement products or resin saturated OSB. Floor Stability: Our floor design is very strong and designed to eliminate bounce. Roof Snow Load & Wind Resistance: Our truss design is adequate for most areas. However, If you live in an area with a high snow load, you should check with your local building department for your local snow load and design requirements or possible modifications . In most case it is simply a matter of using plywood gussets on both sides of inner trusses and maybe 16″ centers. In severe snow load areas, 1/2″ or 5/8″ plywood gussets may be required. These are just a few of the sheds built buy our customers. Some with custom changes, and others exactly to plan specifications. I had been looking to build a shed for a couple of years until I came across the Plans from Country Life Projects. The best plans on the internet today and the prettiest shed in the ‘cyberspace’. The plan drawings were first class and the cost sheets invaluable with which to estimate the cost. The price of the plans was super reasonable and the videos were extremely helpful. The numerous tricks and techniques alone were worth the price of admission. Thanks, Henry, for helping me to build such a fine structure. I like to tell admirers that it’s built better than my house, which it is! Videos were great. I purchased the plans after getting into the project for extra information. Everything was very well explained and laid out. Added double steel doors and a window for decorative look. Built a ramp out of composite wood to drive a riding lawn mower in and out. Would love to see a new video for a backyard gazebo (12’x12′). 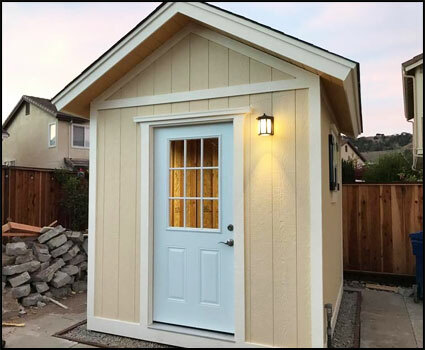 Build Your Shed With Confidence! Our Plans & eBook Are Easy To Use & Follow! Our eBook is organized into each stage of construction, exactly as you find in our videos. Should you need help, each stage and plan contains a link to the related video (in the PDF). Materials required for each stage are also included! We decided to add more plan drawings to keep each one clear and uncluttered making each stage of construction easier. All plans are in color so you can easily define parts and measurements. Our eBook Table of contents is linked to each section of the eBook & each stage of construction. This makes it easy to find the right plan and relevant information quick and easy! 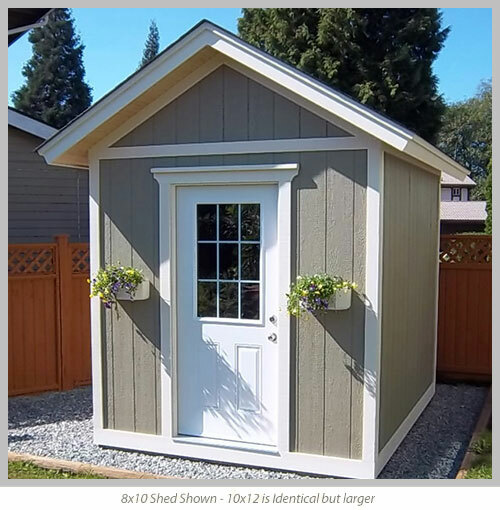 Why is the actual size of the shed 9' 9" x 11' 9"
Our shed plan floor size is 9′ 9″ x 11′ 9″. 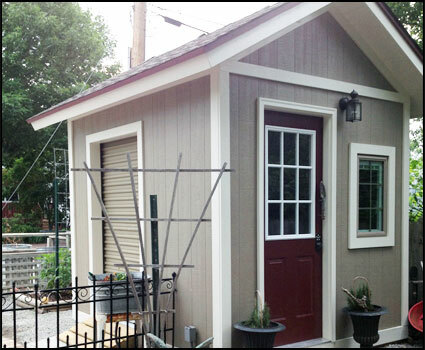 This is intentional and the sizing will save money when you reach the finishing stages of your shed. 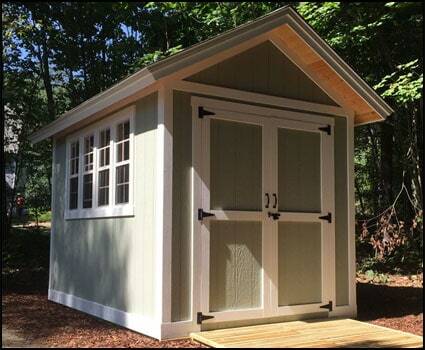 By keeping the size of the shed 3″ smaller on the width and length, there is very little waste with the more expensive trim materials in the finishing stages. Our shed overview video explains this in more detail. 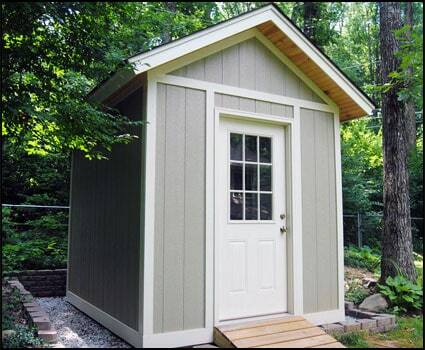 How much does it cost to build this shed? It is not easy to provide an exact answer to this. Prices for materials can vary from one part of the country to another. Even in different countries as many customers are from other parts of the world. However, you will find it will be somewhere between $1500 to $1900 USD – depending on the materials used and how carefully you shop around.We have shed costing sheets included in this package (one is in .xls format and one in .xlsx format for more recent versions of Excel – otherwise, they are both the same). There is one column for material prices, simply enter the prices of materials available locally and the sheet will total the cost of your shed automatically. * You will need MS Excel to use the costing sheet, or a program that can work with Excel spread sheets. 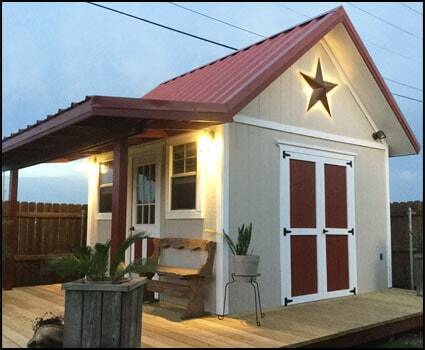 How long does it take to build this shed? This will depend largely on your experience level and how much help you have. 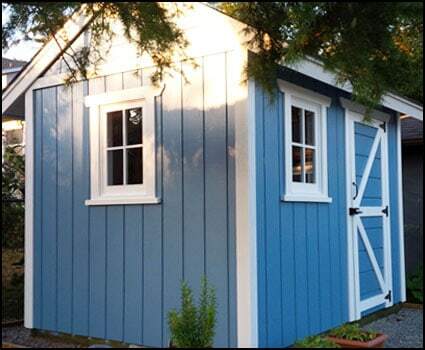 A professional should be able to finish this shed in 4 to 5 days (including painting). A home handyman should allow at least 2 weeks total time working alone. 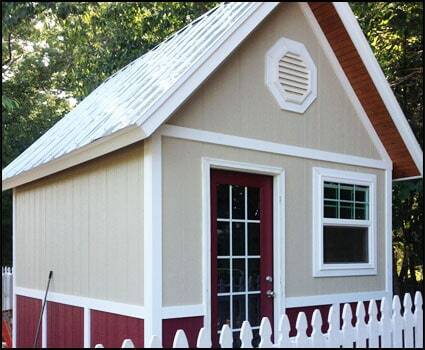 Check out our viewers shed builds as many of them explain how long it took them, and how much help they had. Can the plans be easily modified? In most case they can but much depends on your experience and how much you want to change the plans. Making changes to the width is more involved than changes to the length. Many of the shed builds on our website have made changes to the plans. Can I print the plans with a regular printer and paper size? Yes! Our plans have been designed to print out very clearly and legible on 8.5″ x 11″ paper. Nothing special is needed. We do recommend printing in color if you can. 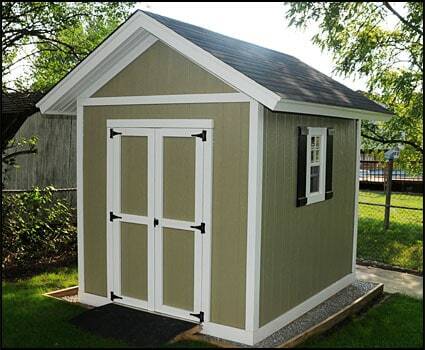 Should I include venting in my shed? This depends largely on how hot or humid the climate is where you live, or if you plan to store flammable fluids like gasoline in the shed. The recommended type of venting is the basic plastic 8×8 vents available at most lumber yards. These can be installed on upper area of both gable ends of the walls to provide flow-through ventilation. Not sure if you need them? 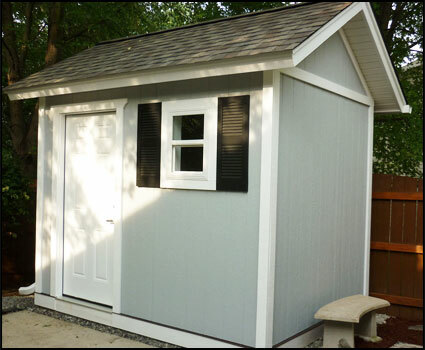 Don’t worry if you do not use them right away – they can easily be added after the shed is completed. We are very sure you will be happy with your Country Life Projects Shed Plan & eBook Purchase. However, if you order our plans and have a valid reason to request a refund, we will honour our 100% Satisfaction Guarantee and make a full refund.